Would you like to see BootRacer speaking on your nature language? Want your language? No problem! Begin your translation! It is easy. You will get BootRacer Business for free! Save your file in Unicode (UTF-8) format. Open BootRacer. 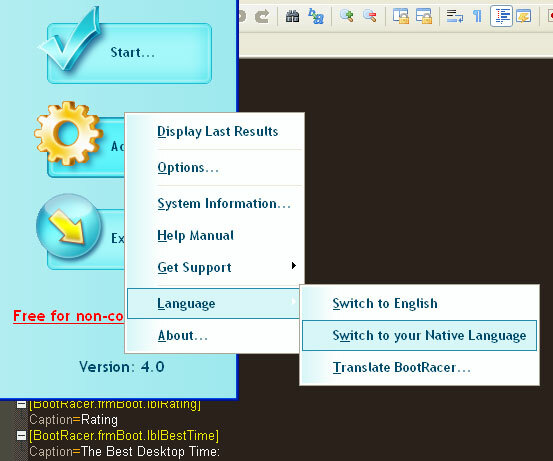 Click 'Advanced', 'Language', 'Switch to your Native Language'. 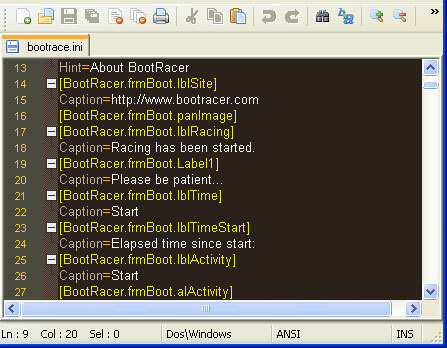 Also, using the same way, translate "license.rtf" and "readme.txt". If you are able to translate help manual, please, download it.